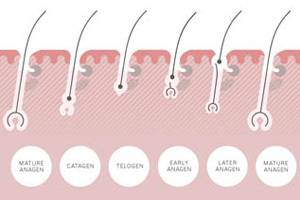 The results from TRICHOTHERAPY®, when used daily, have been outstanding. In blind user trials 79% of women said their hair looked and felt fuller after 12 weeks use. Women have found Trichotherapy easy to build into their daily regime and have seen improvements showing in their hair after just several weeks use. 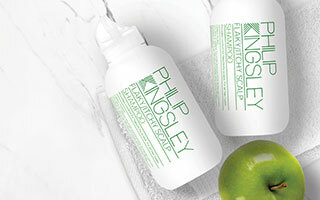 Trichotherapy is a daily use regime and ideally should be applied to freshly washed hair. Although TRICHO PRO and TRICHO 7 should be applied to clean hair and scalp for optimum results, we understand it is not always possible to wash hair daily, therefore TRICHO PRO and TRICHO 7 can also be applied between washes. The important thing is to use them daily and regularly, along with TRICHO COMPLEX Vitamin & Mineral Supplement, for at least 12 weeks due to the hair growth cycle. All 3 steps of the TRICHOTHERAPY® Regime must be completed daily for optimum results. Shake before use. Gently towel dry the hair and spray generously through mid-lengths and ends. Gently comb through to de-tangle, starting at the ends of your hair. Do not rinse. Use daily. Shake before use. Tip head back slightly and using the pipette measure and apply a total of 2.5ml to the scalp. Evenly distribute across the crown and front area. Gently distribute over the scalp with fingertips. Comb through. Do not rinse. Use daily. Take two tablets a day, one with breakfast and one with lunch, for four months. Then reduce your dose to one tablet per day in order to maintain optimum levels. Do not exceed recommended daily intake. Take with water immediatly after food. The TRICHOTHERAPY® Regime provides 6 weeks usage. Results should be seen within 6-12 weeks. TRICHOTHERAPY® is designed for long term use and should form part of your daily hair and scalp regime for best and continuous results. Suitable for use on colour treated hair. Ideal for fine and/or thinning hair, as well as anybody looking to get the best from their hair. Regular use of Elasticizer treatments, as well as the TRICHOTHERAPY® Regime contributes to the overall condition of the hair.